A truly phenomenological medicine can only be conceived and practiced as a ‘meta-medicine’ or ‘medicine beyond medicine’. Unlike both modern and traditional medicines, conventional and complementary medicines, Western and Eastern medicines, what I call meta-medicine questions our basic ethical and philosophical presuppositions concerning the nature and aims of medicine as such. Such presuppositions include the belief, for example that ‘illness’ and ‘health’ are opposites, that illness is ‘bad’ and health ‘good’, that the purpose of medicine is to seek the causes of illness and provide cures, that the ‘cause’ is a malign foreign body or foreign spirit, and the cure its elimination, excision or exorcism. 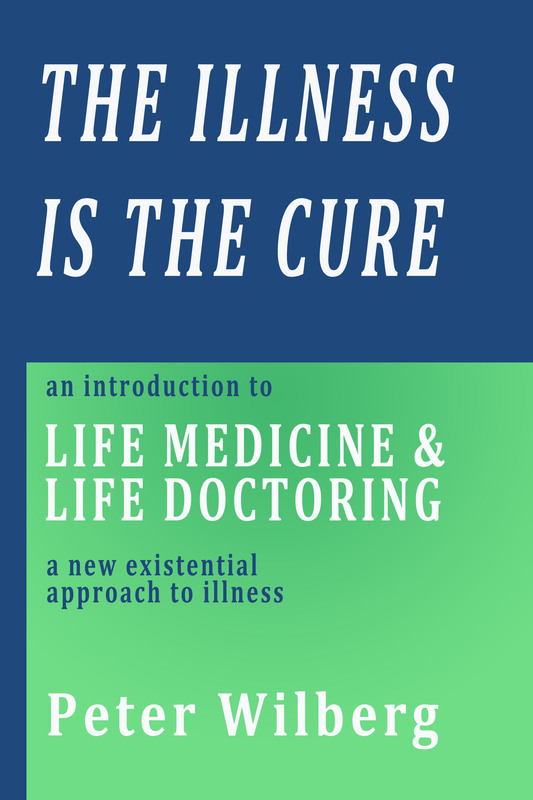 The practical focus of meta-medicine is not the supposed ‘causes’ or ‘cures’ of disease, but the individual’s felt dis-ease and the meaning it holds for them. It is founded on the acknowledgement that there is meaning in illness and challenges the pathologisation of human suffering, understanding them instead as symbols of a deeper pathos (Weizsäcker). It concurs with Illich in understanding suffering itself not as passive victimhood but as responsible activity – for it is our capacity to actively bear and body a felt sense of dis-ease that allows suffering to become the healing source of a new sense of wholeness. Meta-medicine adopts for medicine Arnold Mindell’s motto of ‘feeling not healing’ – seeing the fundamental task of the physician as one of helping the patient to feel their symptoms more acutely and not less, and in this way feel more in them – to feel their meaning. Meta-medicine also transcends the theoretical, practical and institutional separation between psychoanalysis and psychotherapy on the one hand, and somatic medicine on the other, regarding ‘psyche’ and ‘soma’, bodyhood and behaviour as twin expressions of the human organism. It does not identify the human organism with the physical body as perceived from without but with the body as we experience it from within – with the felt or sensed body. From this new meta-medical perspective, bodily disease, depression and death itself are not seen as deviations from a healthy state of bodily well-being but as meaningful dimensions of a health process through which we can become more ‘whole’ as human beings. The nature of the illness process as part of this health process is understood in an ontological way – as a process in which ‘not feeling ourselves’ is only truly completed when we begin to ‘feel another self’. Healing is no longer identified with mental, emotional or bodily ‘recovery’ but rather with self–discovery – the birth of a newly felt bodily sense of self. The military metaphors of modern medicine are replaced by the metaphor of maieusis – the physician as midwife. Illness is understood as a form of gestation in which the patient is pregnant with a new bodily sense of self. Different forms of meta-medical therapy would no longer have the aim of artificially terminating this pregnancy, or interfering with the gestation process. For again, the essential aim of meta-medicine is not heal the patient’s disease or ‘pathology’ but help them to feel their inner dis-ease. Meta-medicine does not seek to change the patient’s bodily condition but help the patient be changed by it – to discover more of themselves through it. Through becoming more authentically whole in this way, efficacious healing in the ordinary medical sense would come about automatically. In meta-medicine, the patient-physician relationship is intrinsic to the therapeutic process, not an add-on dimension of ‘bedside manner’ or professional ‘listening skills’ designed only to give patients the superficial impression of being genuinely heard. The practical methods of meta-medical or organismic therapy that I have developed are all dependent on the inner relationship of practitioner and patient – the capacity of the practitioner to fully receive and respond to the inner dis-ease of the patient as a human being rather than reducing it to a medically labelled disease of the body or mind. The practitioner’s most vital instrument in this process is not their knowledge of or about the body but the wordless knowing of their own organism itself. By allowing their own organism to ‘resonate’ directly with that of the patient, the practitioner learns to identify organismically with the patient’s dis-ease, and to respond to it directly from the healing depths of their own being. Both deep listening and intensive silent eye-contact with the patient play an important role here. 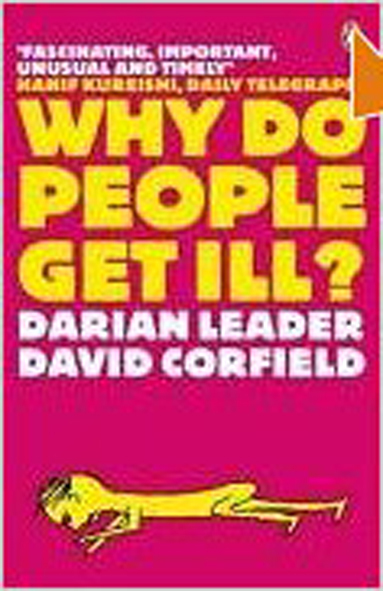 When people feel unwell they also ‘sound’ and ‘look’ unwell. Their deepest desire is to be fully heard and seen as human beings, not treated as ‘cases’. They desire that their own suffering be felt by another human being – not in order that the other should magically heal and eliminate it, but in order to receive the courage to feel it more themselves. To listen to a patient in a therapeutic way is not merely to give them time but to patiently bear with them – helping them bear their suffering and in this way transform it, giving birth to a new inner bearing towards life. Only by learning to actively bear and body their felt-disease can the patient’s need to express it symbolically through somatic symptoms be removed. In this way – and in this way only – do the bodily or behavioural symptoms that the patient presents with also become unnecessary as a medium of communication, a way to be heard, seen and felt by other human beings. The human body does not ‘have’ a language – it is a living biological language of the human being. This language, like others serves a communicative purpose and therefore healing is also necessarily a communicative process. What distorts all human communication, above all that between physician and patient, is the tendency to react to others without the restraint necessary to first fully receive the other into one’s being. Drugs and genetic medicine are no substitute for communicative healing of this sort – the communion that results from the patient being fully received as ‘some-body’ and not just as a ‘talking head’ with bodily complaints. If the patient is not received as some-body but merely as ‘a body’ they are effectively treated ‘nobodies’, their body and its problems reduced to an It – a clinical body-object with which they have nothing to do except submit to the recommended ‘treatment’. That patients should be so ‘treated’ is a symptom of a social disease, an iatrogenic pathology that mankind has yet to confront – preferring to maintain its addiction to current forms of medical treatment. The greater the impersonal technical sophistication of these treatments, however, the more they function as a form of institutionalised health engineering designed to alleviate the more fundamental sickness of human relations in capitalist society. The treatments themselves produce more forms of sickness than those they seek or claim to ‘cure’. One need only think of the debilitating or suicide-inducing effects of psychiatric drugs, the ‘superbugs’ which now infect one out of ten surgical patients in the UK, and the deaths already caused by experiments in gene-therapy: the latest flagship enterprise in corporate health profiteering. The new ‘health fascism’ is already with us, and the hidden holocaust it threatens to inflict has already commenced. It is no accident that people suffering the long-term effects of medical-psychiatric treatments reliant on pharmaceutical drugs call themselves ‘survivors’. When will patients, physicians and politicians alike recognise that the medical-psychiatric crisis afflicting market economies worldwide is nothing that can be resolved by new ways of funding and delivering ‘quality’ health services, whether public or private. Such topical ‘issues’ mask the far deeper questions raised by Heidegger in the Zollikin Seminars, and heralds a far deeper crisis of belief – a critical turning point in our understanding of the very nature of ‘health’ and ‘illness’. For the critical turn to occur however, requires a fundamentally new understanding of what ‘health’ and ‘illness’ essentially are, and a new understanding too, of what constitutes ‘scientific method’ in medicine. The unfulfilled heritage of the Zollikon Seminars lie in the seed of thought that Heidegger planted for a qualitative revolution in medicine – one not based on new forms of quantitative measurement and testing, on impersonal technologies and dehumanising treatments, but on the quality of the time that physicians grant to their patients, and the qualitative depth of awareness they are trained to bring to their work. When Freud was 82 years old he formulated what he called the second fundamental principle of psychoanalysis – one whose implications have been largely ignored. According to this principle, what is truly psychical manifests itself primarily in what were previously considered merely as parallel or ‘concomitant’ somatic phenomena. The ‘unconscious’ in other words, is nothing essentially biological or psychical but a somatic psyche. Meta-medicine understands the physical body (Körper or soma) as the outwardly perceived form of the human organism, with the psyche or soul being its inwardly felt interiority. The organism as such is a somatic psyche or psyche-soma (Winnicott). It is made up of patterned tonalities of awareness with their own field-patterns and qualities, their own resonances and dissonances, and their own felt bodily shape and substantiality. The organism is the musical instrument or organon with which we translate feeling tones into cell and muscle tone, their resonant or dissonant patterns into mental and motor patterns. In contrast to this understanding of the psyche and soma – as unitary aspects of the human organism – all talk of the unity of ‘body’, ‘mind’ and ‘spirit’ effectively reduces the organism to a mere assemblage of separate parts. As for the relation of soul and body or psyche and soma, it makes no sense to speak of the ‘psychogenic’ or ‘psychosomatic’ causation of organic disease. For the relation of psyche and soma as twin aspects of the human organism is not fundamentally a causal relation but a linguistic one. The psyche, as the felt interiority of the organism, is not same thing as the organic interiority of the body as perceived from without. The latter reveals nothing but a mere corpus or Körper – the root meaning of soma. The psychical interiority of the organism is comparable to the inwardness of the word. The physical body, as its perceived exteriority, is its fleshly text or corpus. The essential relation of psyche and soma is not a causal but hermeneutic and musical one – the relation of a visible text to its felt dimensions of meaning, and of a word to its felt inner resonances. As Foucault put it “To ask what is the essence of a disease is like asking what is the nature of the essence of a word.” Our felt understanding of the sense or meaning of a word always has to do with connotations that transcend its given meaning or denotation. Just as the same words can have a different felt meaning to different people, so can the same disease symptoms. This felt meaning may not however be manifest, visible, or expressible. It belongs to the realm of unformulated experience. But for what Foucault describes as the clinical gaze what counts is only what is visible – manifest or expressible. 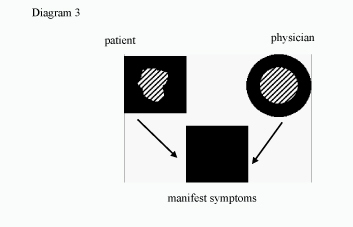 In Diagram 1 below, the black squares represent manifest or expressible symptoms in the way these are perceived by the physician – as diagnostic signs of a generic disease type. The figures within the squares however, represent the varying ‘shapes’ of different patients’ felt experience of the same symptoms or disease. The shaded area within these figures represents their felt dis-ease as such – the organismic field-state that finds expression in their symptoms. Diagram 2 represents the way in which a patient’s felt dis-ease can take on the form of a typical disease pattern. 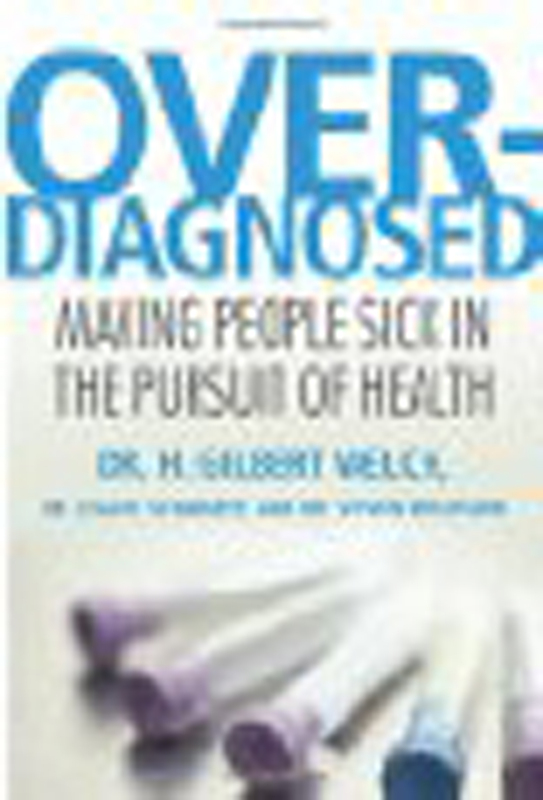 This may happen either because the disease pattern is identified by the physician as a possible cause of their symptoms or because the patient has already begun to medically interpret their felt dis-ease as a sign of some incipient disease – knowing that only in this way will it receive recognition by the physician. Conventional medicine, not only orthodox medicine but also many forms of alternative medicine, sees symptoms as literal signs of an underlying somatic or psychological pathology rather than as metaphorical signifiers of a felt sense of dis-ease. The physician’s first act is to separate the patient as a human being from their symptoms, to objectify the latter and to reduce them to signs of some ‘thing’ lying behind them. Diagram 3 is a model of the traditional “We-It” relationship between physician and patient, in which the physician’s principle is to separate the patient’s felt dis-ease from their manifest medically-recognized disease symptoms and turn the latter into an “It” – some ‘thing’ that is ‘wrong’ with the patient and that can be turned into an object of clinical diagnosis and treatment. Meta-medicine marks a break with all forms of diagnosis that are not based on a direct organismic resonance with the patient’s felt body and the felt dis-ease it expresses. Organismic resonance is not the same thing as emotional empathy. A physician or psychologist can register a sign of somatic discomfort or emotional distress in a person, and feel empathy or compassion for them, without in any way resonating with its unique tonality: the ‘felt quality’ or ‘field-quality’ of this patient’s discomfort or distress, this person’s pain or despair, this person’s felt body and this person’s felt dis-ease. The practice of meta-medicine is organismic therapy – based on the therapist’s capacity to use their own organism to sense and resonate with the felt body and felt dis-ease of the patient. The practitioner of this organismic therapy is someone who can not only bring their felt body into resonance with that of the patient but also freely tune, tone and ‘play’ their own organism as a musical instrument or organon . This means using it to emanate feeling tones that not only echo and amplify those of the patient, but also modulate the patient’s organismic feeling tones with new and different tones which are harmonics of the latter – and thus help bring the patient’s organism into harmony. Diagram 4 represents a state of organismic resonance between patient and therapist, through which the therapist has achieved a state of organismic resonance with the patient’s felt dis-ease. The principal instrument of organismic therapy is th therapist’s own organism and their organismic sensitivity to the body of the patient. The therapist is one who has transformed their own organism into a new organ of feeling cognition, one through which they can sense the unique field-qualities of another person’s organism. The medium of this qualitative perception is ‘feeling tone’. For like audible voice tones, organismic feeling tones have their own sensual qualities of warmth and coolness, lightness and darkness, just as they also possess different ‘elemental’ qualities such as fluidity and solidity, airiness or fieriness, different tone ‘colours’, expressed in and through different sound ‘shapes’, ‘timbres’ and ‘textures’. A visibly stocky and muscular patient feels light or weightless to the therapist. Though she has a ‘sunny’ disposition, which can be sensed organismically as radiation of light and warmth it is as if her awareness were constantly streaming outwards towards the world and other people rather than inwards towards her own self. This was reflected in the fact that though she talked a lot about others and showed great emotional perceptiveness she never spoke directly about her own feelings or her experience of herself. A felt sense develops in the therapist of a hollow quality of the patient’s bodily self-awareness – her awareness entirely dwelling on the mental outer surface of her organism and in the outer world, and lacking any centre in its bodily, psychic interiority. Her sparkling eyes and talkative vitality betrayed a lacking field-depth and field-intensity in the patient’s inner bodily self-awareness. Her entire awareness of herself seemed outwardly oriented, merged with her awareness of others and head centred rather than inwardly or body centred. The therapist’s direct organismic awareness of the patient was given significance by both her somatic complaints and the verbal information she communicated. In a brief telephone call with this client the therapist got an intuitive sense that the patient was not just alone in the house, but in a sort of vacuum. Later the patient reported that she was indeed alone in the house at the time, but also had, for a change, no external problems, her own or others, to focus her awareness on. It was at this time she experienced a somatic crisis. This took the form of an allergic shock reaction in which her body tissues swelled, she felt like a balloon and due to constriction of her throat it became almost impossible for her to breathe or speak. The therapist’s felt, organismic sense of this crisis was that the patient’s body was expanding to fill an external vacuum created by the patient’s lack of inner bodily self-awareness. That it was intensifying her bodily self-awareness and using her physical body to substitute for the otherwise non-existent boundary between self and other in her organism or body of awareness. An untrammelled and unmeasured flow of awareness between self and world was physically disrupted through her body making it almost impossible for breath to flow in and out. The shock reaction in other words, was not a response to a specific allergen but her immune system going into hyperdrive in order to compensate for a lack of boundedness in her organism and a lack of differentiation between self and other reflected in her language and way of speaking. Respiration, digestion and metabolism for example, are not merely organic functions of the physical body or soma but the embodiment of a fundamental capacity of our being. These capacities are bodied through the human organism – which, as a body of awareness, is the body with which the human beings inhale and exhale, digest and metabolise their own experience of the world and other beings, drawing from it the raw material with which they reconstitute and transform their self-experience. We can identify eight basic dynamics governing the relation between, on the one hand, organismic capacities such as inner psychical respiration, circulation and metabolism, and, on the other hand the bodily mental functions (including brain functions) that are their outer counterparts. 1. A weakened organismic capacity weakens a bodily function. 2. A weakened bodily function weakens an organismic capacity. 3. A strengthened organismic capacity strengthens a bodily function. 4. A strengthened bodily function strengthens an organismic capacity. 5. A bodily function compensates for an under-active organismic capacity. 6. An over-active bodily function weakens an organismic capacity. 8. A weakened bodily function strengthens an organismic capacity. The case outlined above was a clear example of an organic function (the auto-immune system) compensating for a weak or non-existent psychical capacity to form a firm organismic boundary or skin of awareness of self and of other. Her most continuous somatic symptom was itchy skin eruptions from which she scratched to the point of drawing blood – as if to break into herself from the outside. Biographical questioning revealed that in her childhood the patient had suffered from constant fears of her mother dying while she was at school, confirming the therapist’s organismic sense of an absent differentiation of self and a significant other in the form of the mother. This too was related to the deathly hollowness of her organism, which as a vital and formative inner body is also a ‘mother-body’. Because of this hollowness, fiery intensities of awareness have not only no firm boundary to contain them but no organismic surface to rise to in the first place. The patient’s somatic sensation of intense bodily heat and going ‘red in the face’ during the somatic crisis allowed her inner fire to condense and rise to a surface rather than being dissipated in the ordinary way as the warmth and light of her normal radiant or sunny disposition. A dream shared by the patient revealed an intense fear of darkness. Her predominant skin symptoms – hot and itchy eruptions – were reminiscent of sunspots – concentrations of heat that made her physically aware of an organismic skin she lacked psychically and made up for through a continuous mental skein of thoughts about others. Therapy did not take the form of physical diagnosis and treatment, psychological explanations of symptoms or psychoanalytic interpretations focusing on emotional issues and their source in parent-child relationships. The fundamental therapy was the fundamental dia-gnosis – the therapist’s capacity to stay with his own felt, organismic sense of the patient’s inner vacuum and lack of boundedness – despite all her surface vitality and talkativeness. This in turn induced a state of field-resonance with the patient’s own organism – allowing her to feel its hollowness for the first time. The therapist then used his own organism to directly induce a sense of inner warmth in the organism of the patient, helping her to feel her own body not as a vacuum emptied of awareness but as a vessel or hearth – filled with a warm glow of awareness stemming from her own life-fire. Just as there are organismic counterparts to every organ and physiological function (in this case the skin and auto-immune function) so there are also inner psychical counterparts to physical phenomena such as space and time, closeness and distance, warmth and coolness, light and darkness, lightness and heaviness, sound and density, charge and polarity, electricity and magnetism. This applies also to the elements such as fluidity (water), solidity (earth) and gaseousness (air). The organism is composed of different combinations of these inner energies and elements – qualities of inner warmth and inner light for example. Yet it is of the utmost importance not to confuse our felt sense of these qualities with bodily sensations of some physical or vital ‘energy’. The warmth we feel radiating from a human being for example, is neither a measurable property of their physical body (temperature) nor some mysterious inner energy that we happen to be aware of. It is a quality of their awareness of themselves and the world that others then feel bathed in and warmed by. Just as we can feel inwardly close to someone even though they are miles away, so can our feelings towards someone have a warm quality even though our bodies are freezing. Just as our organism, as a body of awareness, is not less but more fundamentally real than any physical phenomena we are aware of, so are subjective, feeling senses of inner closeness or distance, warmth or coolness, lightness and darkness, fluidity or solidity etc. more fundamentally real than their physical counterparts. When we feel a person’s warmth or see the radiance of their gaze we are not speaking of any physical heat or light emanated by their bodies. Nor are we ‘merely’ speaking metaphorically. To believe so is to imply that the qualities of inner warmth or outward radiance we feel emanating from a human being are somehow less real than a measurable temperature of the human body or the measurable light ‘reflected’ by their eyes. The same applies to senses of inner darkness, coolness, lightness or heaviness, density or airiness, solidity or fluidity, wholeness or fragmentation. Empathy – a Foreign Language for Doctors? Enter your email address to subscribe to the Existential Medicine Forum and receive notifications of new articles and posts by email.